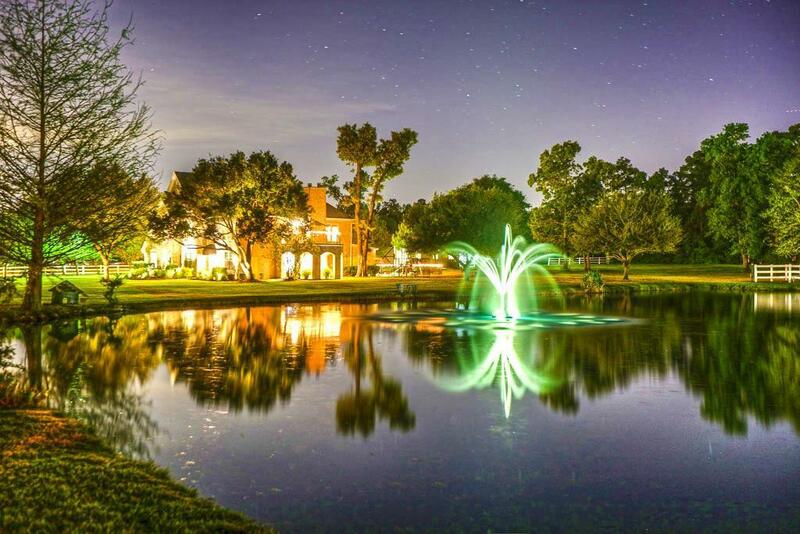 Nestled in the exclusive gated community of Ranches of Pinehurst, this property features 10 gorgeous acres, a stunning custom built home and immaculate grounds, all only a few minutes drive from The Woodlands! 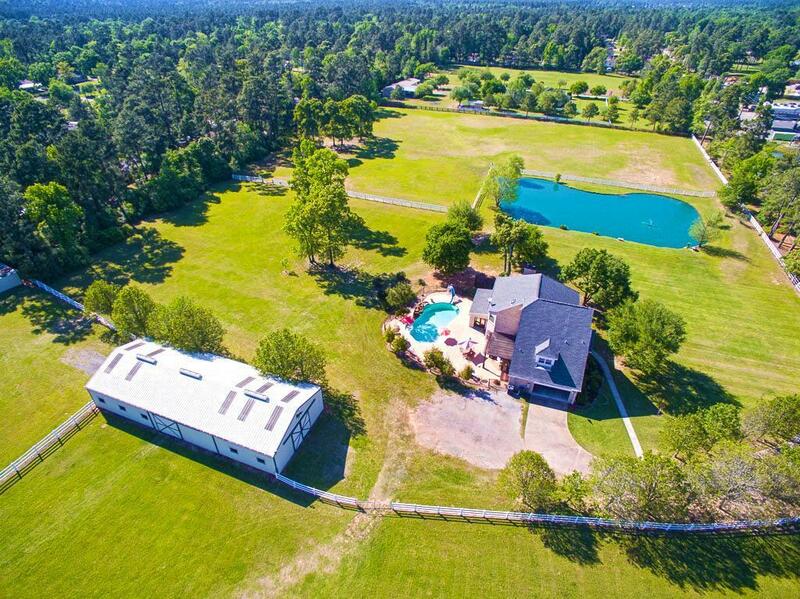 This rare gem offers panoramic country side views, a large private pond w/ fountain, 96x36 horse barn, 4 fenced paddocks, an impressive POOL oasis and Pergola, cross fencing, incredible landscaping and two entrance gates! 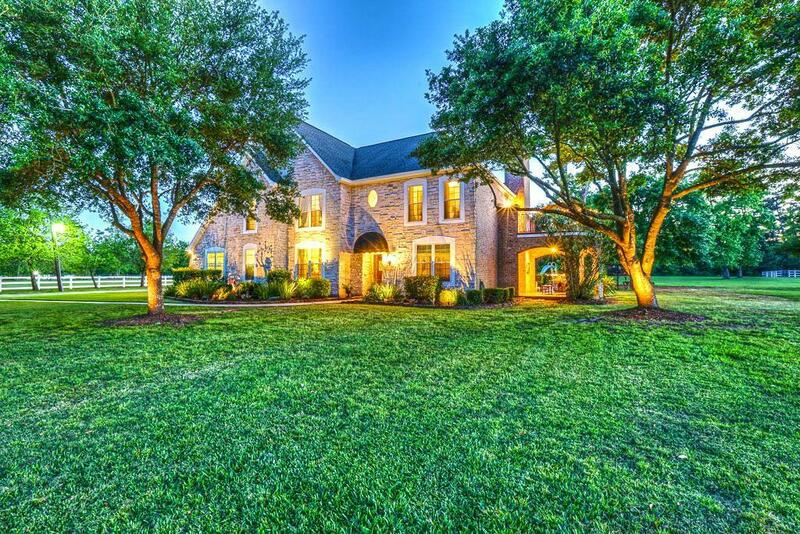 This custom built home is bursting with upgrades and fine finishes with a grand entrance featuring soaring two story ceilings, double crown molding, picture windows capturing scenic backyard views, slate floors, interior brick columns and extensive terraces to name a few! Gourmet Kitchen loaded with upgrades! 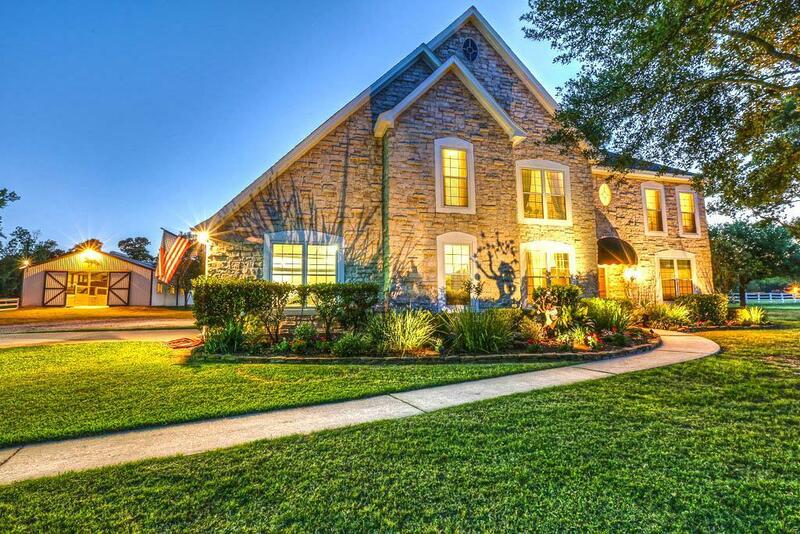 Master Suite w/ stone fireplace and a private flagstone balcony! Master Bath w/ resort style shower & claw foot tub. Spacious bedrooms with updated Jack & Jill baths. Easy access to The Woodlands Parkway (expanding in 2019!) NO FLOODING in 25 Years!